Anyone who has spent time in the Northeast — traveler, transplant, or otherwise — describes their location within the orbit of two cities: Boston and New York City, regardless of if they actually live in either. This is especially true of New Haven, Connecticut, situated less than two hours between both cities and easily reachable by train. While few people outside of Connecticut know anything about New Haven beyond Yale University, this small city is home to a thriving, multi-cultural community that includes some of the country’s smartest and most creative thinkers. Us Connecticutians — that’s a sweet name we’ve got to start owning — are tired of telling travelers, “I’m from somewhere between Boston and New York” and hoping they figure it out. But we’re hedging our bets that soon, we won’t have to. New Haven is poised to become one of the great cosmopolitan capitals of the Northeast. Here are just a few reasons why you’ll enjoy a day trip to New Haven — and why you may just want to move here. It’s home to an innovation mega-center. If your only mental picture of Connecticut contains church steeples and cobblestone streets, your first stop in New Haven needs to be District, a 9-acre tech and innovation campus. It’s part food and beer hall, part event center, part co-working space, and it serves as both an entertainment hub and a place to access outdoor activities on the Mill River Trail. The spot is full of forward-thinking, industry-building, next-gen makers helping shape the future of the state and beyond. And because this is New Haven and not New York, they actually want to talk to you. The facility hosts inspiring events and speakers each week and has a gym onsite. You can mingle at its coworking space, get inspired, and keep the momentum rolling at the onsite BBQ restaurant, The Stack, or the bar which features bar games and trivia, and gets popping around happy hour. Yale University and the New Haven Green are chock full of art and history. While District may be shaping the future of Connecticut, it’s tough to know where you’re going if you don’t know where you’ve been. 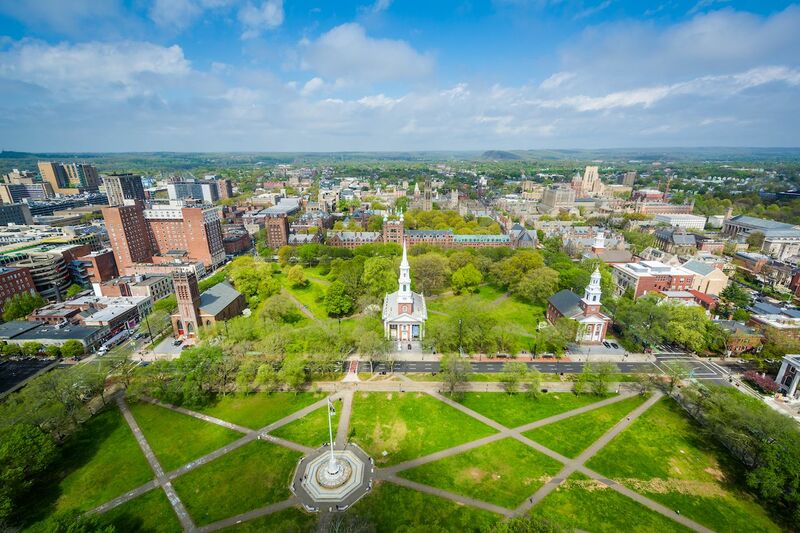 There’s no better place to learn about New Haven’s (and our nation’s) history than around the Green and Yale University. Here, international students descend on the campus each year, bringing a myriad of cultures together into one small city. 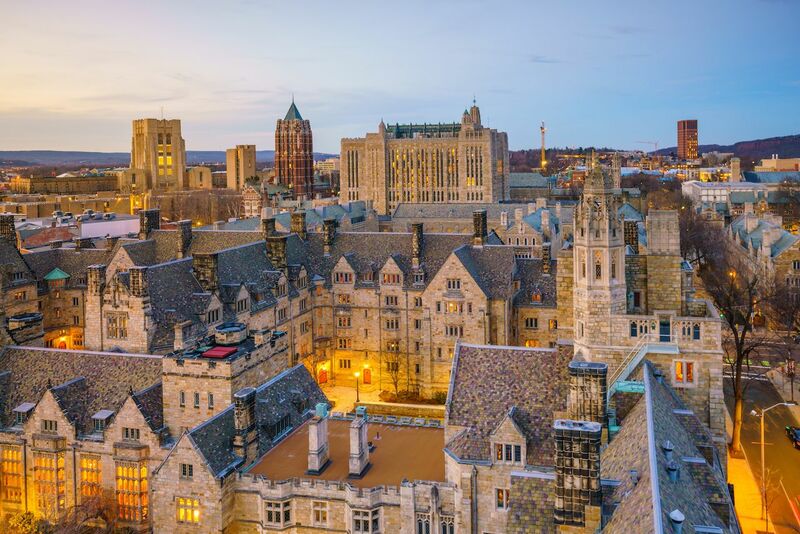 Founded prior to the American Revolution in 1701, Yale is the third-oldest institution of higher learning in the US and boasts alumni like inventors Samuel F. B. Morse (morse code) and Eli Whitney (cotton gin), both Hillary and Bill Clinton, and actors Edward Norton and Jodie Foster. Yale’s campus is situated primarily around the New Haven Green, which was dedicated a National Historic Landmark District for its three architecturally significant 19th-century churches. The Green hosts the International Festival of Arts & Ideas each June to celebrate the world’s greatest artists and thinkers with a festival of performing arts, concerts, and discussions. Yale’s museums host extensive collections, all of which are open to the public and many of which are free to enter. If you’re short on time, focus on the Yale University Art Gallery, the United States’ oldest university museum which holds over 200,000 objects ranging from ancient to modern origins, including masterpieces by Van Gogh and Picasso. Another favorite is the Beinecke Rare Book & Manuscript Library, which houses a collection of the first books printed using moveable type in the West, including one of the 15th-century Gutenberg Bibles. Not far from the Green and the museums sits the nation’s first chartered burial ground, the Grove Street Cemetery. African-American Civil War veterans, the lawyer who argued for the Amistad slaves imprisoned in the city, the fathers of American football and American medical ethics, and the only person to have signed all four basic documents of American sovereignty (including the Declaration of Independence and the Constitution) are all buried here. The city has left its mark on American gastronomy. You’re going to work up an appetite exploring the downtown area. As the city works to attract younger travelers and families, environmentally and socially conscious cafes have popped up across town, many near the campus while others are spread out throughout town and down by the wharf. Claire’s Corner Copia opened in 1975 just off the New Haven Green and is known for vegetarian food and smoothies. The less health-conscious can have breakfast at The Pantry, a local favorite for simple, tasty egg dishes and decadent brunch fare like cinnamon roll pancakes. Beyond cafes, New Haven boasts some significant claims to fame in the culinary world, including the first hamburger. Louis’ Lunch is recognized by the Library of Congress as the home of the very first hamburger sandwich. Legend has it that some guy in 1900 ran up to proprietor Louis Lassen asking for a meal he could eat on the run. Louis tossed his unique blend of steak trimmings between two pieces of toast, and the burger was born. It’s still slinging patties the same way, served without condiments and only cheese, tomato, and onion as acceptable garnishes. If it’s your first time, try out Louis’ lingo by ordering “two cheese works, a salad, and a birch.” The staff will whip you up two hamburgers with cheese, tomato, and onion, cooked medium rare on toast, with an order of potato salad and a birch beer — the quintessential New Haven meal. 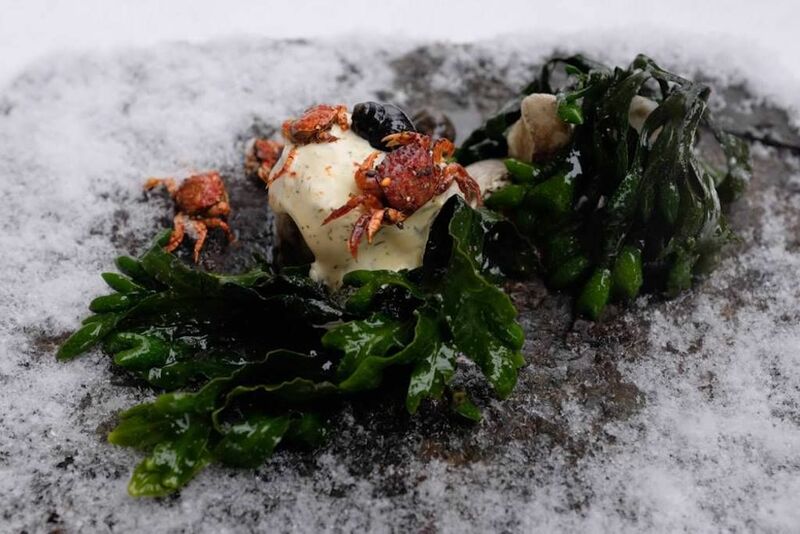 Miya’s Sushi, on Howe Street, claims to be the world’s first “plant-based & sustainable sushi restaurant.” Its extensive, ever-changing menu is built around invasive plant and animal species, and you’ll find some unique ingredients like bugs from time to time. The restaurant’s late-night specials — after 9:00 PM on Sunday, Tuesday, and Wednesday, and after 10:00 PM Thursday to Saturday — make the menu uniquely affordable among downtown sushi spots. The real standout among New Haven food, however, is the pizza. If you’re from New York or Chicago, this might sound like a bold claim. 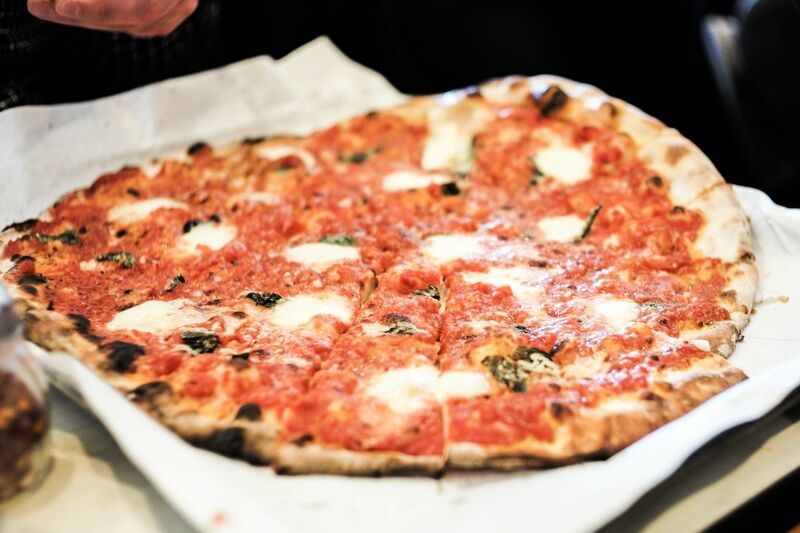 But New Haven’s pizza scene holds its own — it even made Matador Network’s list of Best Little Italys in America this year. The style is called apizza, invented by Frank Pepe’s in the 1920s but also slung in fine fashion at Sally’s Apizza and Modern Apizza. The pies are thin crust and coal-fired, and the end result is a crunch that neither New York or Chicago can claim. You’d be hard-pressed to find a Connecticutian without an apizza story to tell. The nightlife is a bit classier than a typical college town. 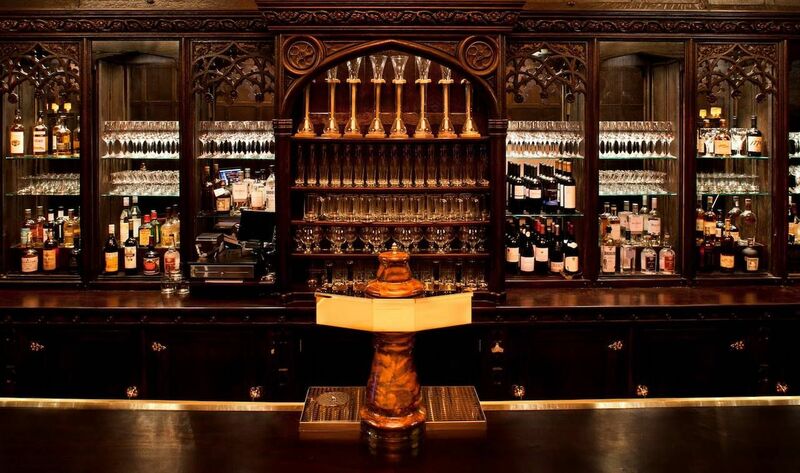 After dinner, if you’re not already there, make your way downtown to check out the bar scene. Start by grabbing a cocktail at New Haven’s oldest tavern, Ordinary, which has been making a mean cocktail since the 1600s. The pub can get packed, but if you’re by yourself and looking for a conversation starter, ask about the tunnels that run to other buildings downtown beneath the tavern that was once frequented by founding fathers and famous actors. If you’re with a group, take them to experience a bit of beautiful auditory chaos played up close and personal by both local and international musicians. New Haven has a super vibrant live music scene, and it’s centered around jazz. Wednesday shows are free at The Owl Shop while Firehouse 12 offers paid tickets and season passes to shows, including the 2019 Spring Jazz Series. If live theatre is more your thing, look up what’s playing at the Shubert and Long Wharf theaters. Both showcase international and multicultural talent and performances, many of which move on to Broadway and off-Broadway in that big city to the south.